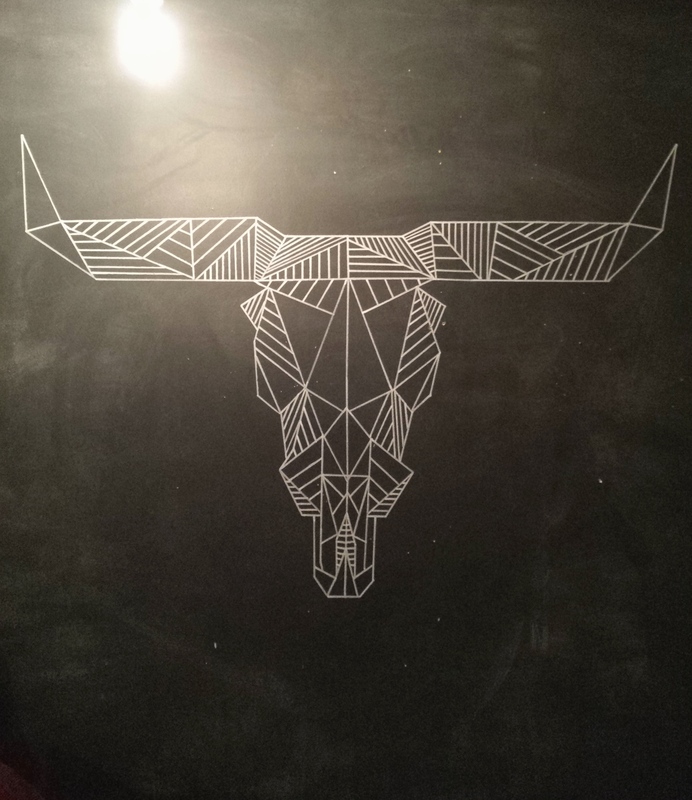 I’ve tried a number of different materials for creating chalkboards and I have to say that by far, my favourite vinyl is this one that I found on Amazon.ca. It sticks the best to walls and has a nice smooth look to it that the Silhouette brand didn’t have. It was also significantly cheaper which is always a bonus. 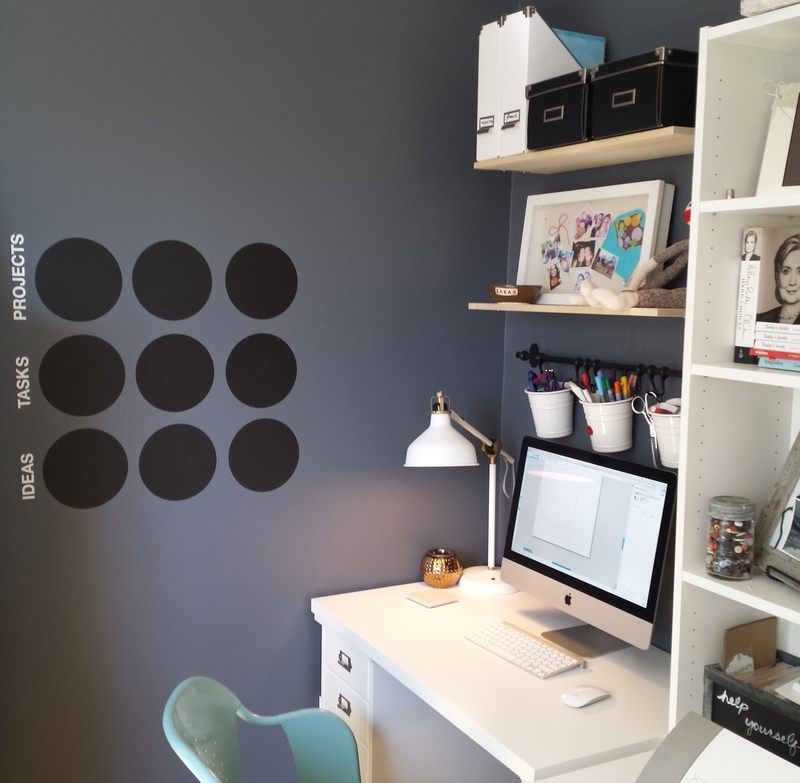 Here are my three favourite projects where I have used chalkboard vinyl to organize things in our home, and some tricks I’ve used along the way to make it look like I am a professional! 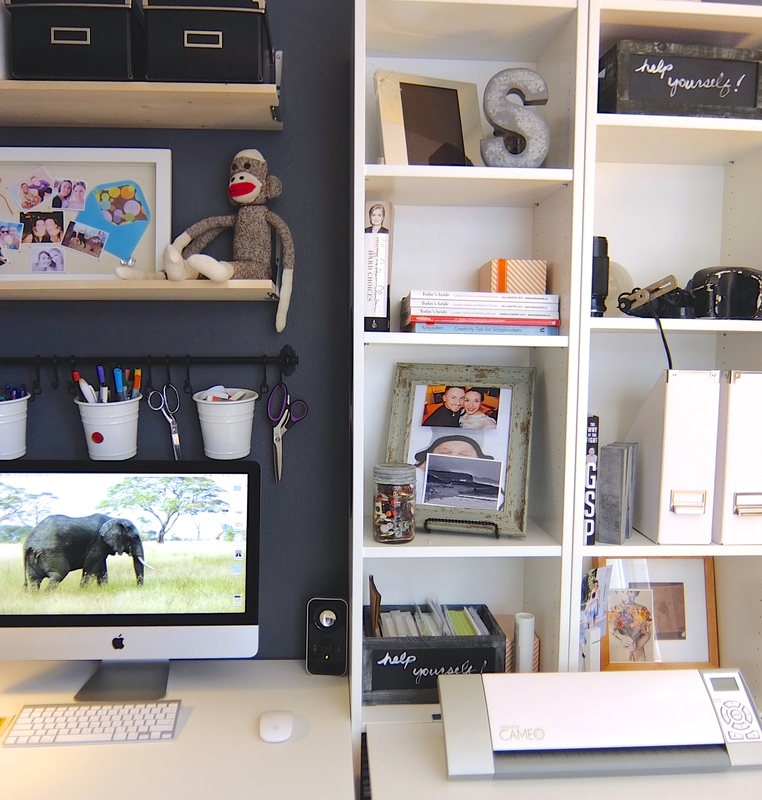 From the kitchen to the office, there are so many ways to incorporate this trend and make it work for you and your family. 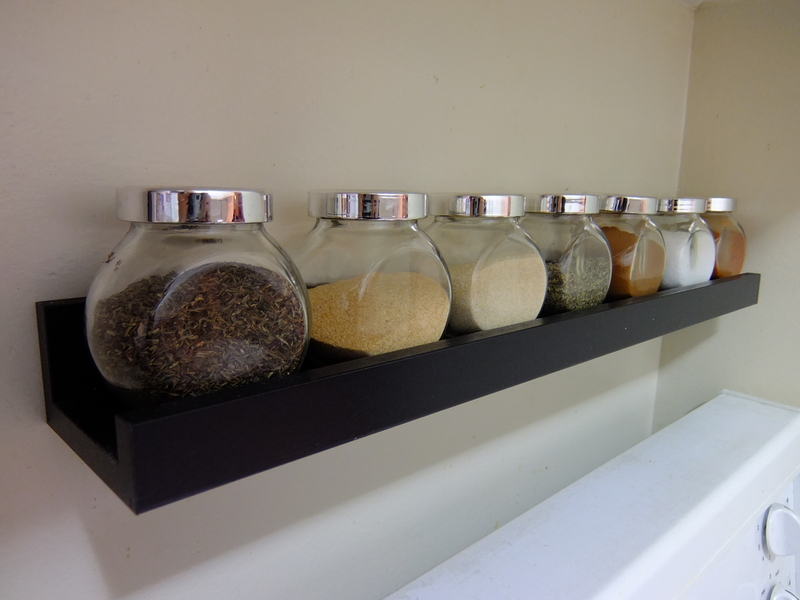 We jazzed up our spice rack with these jars from Ikea and circular chalkboard labels we cut out to fit the flat surface on the jars. Before we made the labels, we either put a sticky on the bottom for what was in the jar or just had to guess. The one thing I love about the Silhouette is that it cuts out perfect circles, which is probably one of the hardest things to cut by hand. 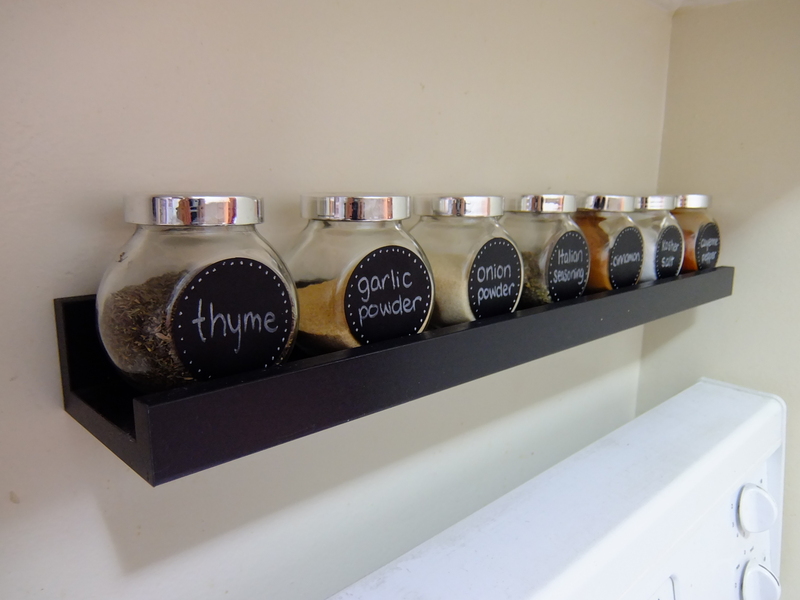 We love the look of our new chalkboard labeled spice rack. At work, I am the best at keeping track of my projects, tasks and ideas but at home, it’s a completely different story. I still haven’t even made our wedding book yet only because it keeps slipping my mind. This idea could also be made into a calendar, big chalkboard or even a to do check list. 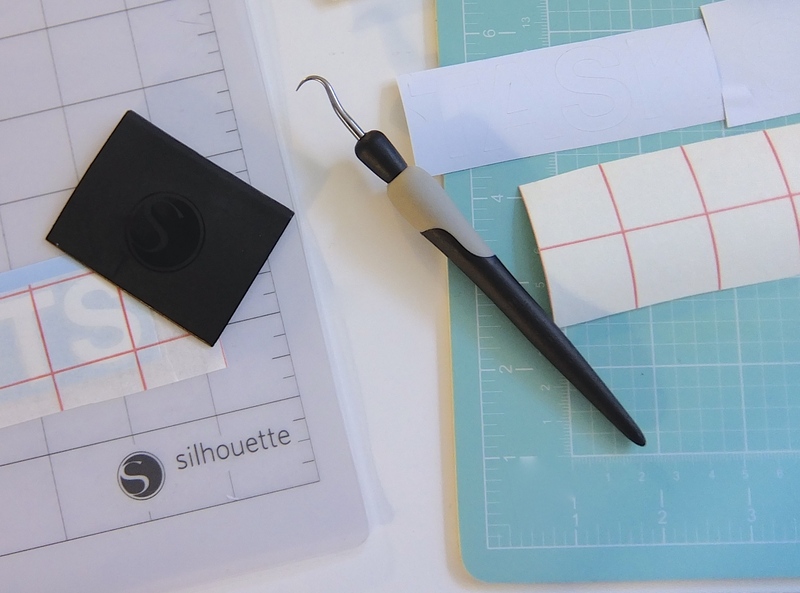 I opted to go for the big projects list because it helps keep these things top of mind and is a quick reference for me when I am sitting at my desk. FYI – The white words were made with plain white Silhouette vinyl. 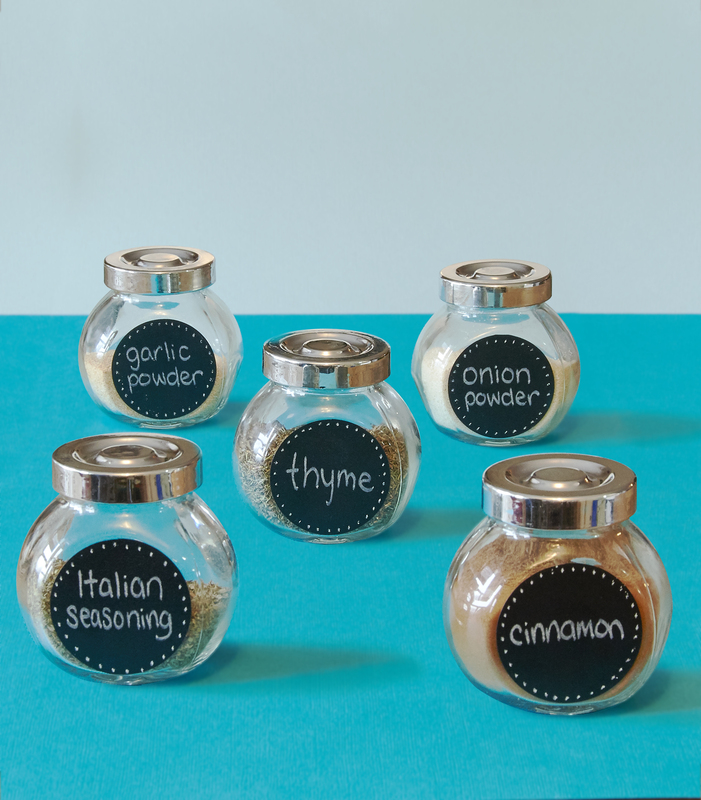 Chalkboard labels can really make labeling fun and trendy. 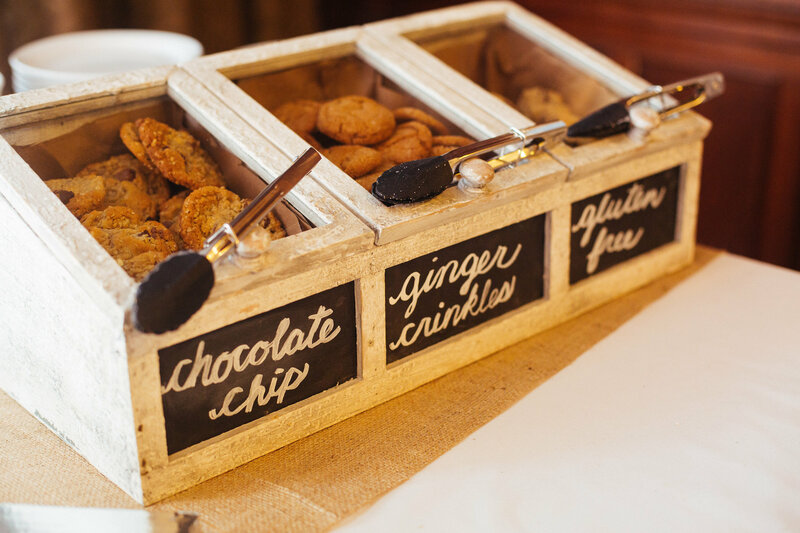 For us, it was helpful at our wedding when we needed labels for the cookies but wanted to keep on the theme of rustic-chic. 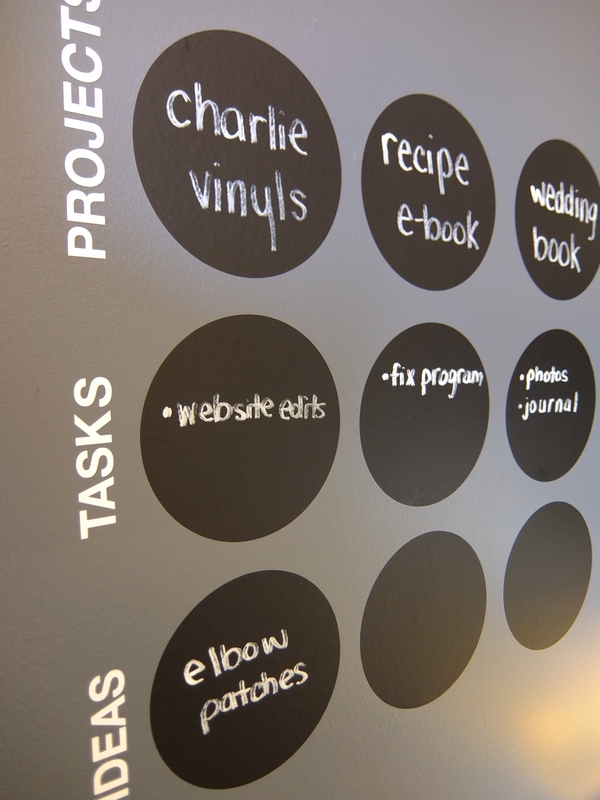 Now, in our office, we use chalkboard labels to jazz up the book shelves in between our desks. The “Help Yourself” boxes were originally our bathroom boxes at our wedding, but the great thing about having a chalkboard is that you can reuse and relabel very easily. We haven’t changed the labels yet because I thought it was cute to have all our greeting cards in the box with help yourself! I use chalkboard markers to write on my vinyl and a damp cloth to clean it up and start over. It works like a charm every time! For bigger projects, like writing on our chalkboard wall, we use an Epson projector to display the image we want to trace. We do not claim to be artists or professionals, but we will sure use hacks to make it look like it!